Discussions Magazine Music Blog: SPAZ reviews OMD's English Electric! 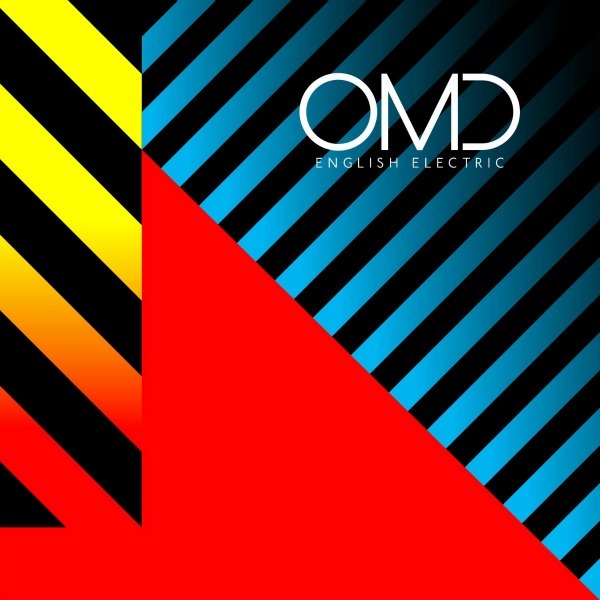 SPAZ reviews OMD's English Electric! Being a child born in the early '60s and raised with the music of The Beatles, The Monkees, Glen Campbell and Neil Diamond (amongst others) being played on a regular basis, I got quite used to the idea of a Pop song. Usually lasting around 3 minutes and featuring a melody that would stick in my head for hours, days or even weeks, the Pop song became my music of choice. Throughout the '70s, the soundtrack of my life flowed from AM radio speakers. It didn't matter who performed the song, if the hook was big enough, then I would gladly be reeled in without a fight. By the end of that decade, I was old enough to look for my own audio treats and fell deeply in love with the burgeoning New Wave, Punk and Power Pop scenes and the artists that created that kind of music. When Synthpop and Electronic music began to make their mark, I was drawn to the glorious melodies that would float on top of this 'new' kind of music. It didn't matter to me that there was not a guitar, bass or drum within earshot: to me, it was always about the song. And believe me, back in the early '80s, synth-based bands like Depeche Mode, The Human League, Heaven 17 and OMD (AKA Orchestral Manoeuvres In The Dark) were creating music that was groundbreaking, thought-provoking AND melodic. OMD's output has always intrigued me. When some of the other bands were trying to act cool and detached, OMD were busy creating Pop music. Yes, these Liverpudlians were a true Pop band in every sense of the word. Singles like "Messages", "Enola Gay" and "Electricity" were extremely catchy slices of Electronic music, but the band had their more experimental side, too. Their first few albums alternated between the commercial sound of their singles and their weirder side, which was just as engaging as the hook-filled hits. When they released the album Dazzle Ships in '83, their experimental side took over, making for an album that was either hard to listen to or a true revelation. On first spin, I think I coined the phrase "WTF?" but by the third listen, I was hooked. The band then went back to their poppier side after that and recorded a string of amazing Pop-oriented albums that barely hinted at their more esoteric side (they saved those tracks for the singles' b-sides). But by the end of the '80s, the band split in two and, although OMD continued into the '90s (with Andy McCluskey remaining as the sole member), it wasn't quite the same. OMD's original four members (McCluskey, Paul Humphries, Malcolm Holmes and Martin Cooper) reunited in 2005, but it took another five years for their 'reunion' album to appear (2010's History Of Modern). Though the original band hadn't released an album in 20 years, they picked up right where they left off. There was no doubt that History Of Modern was an OMD album, and a great one at that. Now, three years on, OMD return with English Electric, an album that reaffirms their position as one of the greatest Electronic Pop bands of their generation. It is an album that is steeped in tradition, yet fresh and exciting. This is not a band trying to break away from their past - OMD are a band embracing everything that came before and reminding us why they mattered then... and now. English Electric is an album that sounds like it could have been released between the aforementioned Dazzle Ships and it's more commercial follow-up Junk Culture (1984). From beginning to end, it is a platter filled to the brim with wonderful melodic hooks (both vocal and instrumental) and plenty of experimental moments. English Electric is like taking the best bits off of Architecture & Morality and throwing them in a blender with the lush production values of The Pacific Age, adding chunks of a few of their better b-sides and mixing it all together. Yeah, its that good! sample-heavy experimental tracks like "The Future Will Be Silent", "Decimal", "Atomic Ranch" and "Please Remain Seated". The blend of the two create an album that is lush and beautiful, but one that is over far too soon. With English Electric, OMD have created not only one of the best albums of the year, but also one of the best albums of their career. As time goes by, we all grow a little older and a little wiser. We go through changes and we experience magnificent highs and devastating lows in this journey we call life. We learn and we teach. We laugh and we cry. We run and we crawl. But at the core, we stay the same. And for all intents and purposes, that is what makes OMD entirely unique. They remind us that it is OK to be who we are, just as long as we continue to move forward and and love what we do. Here is my EXCLUSIVE interview with OMD's Andy McCluskey as he promoted the History Of Modern album.